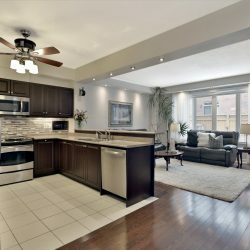 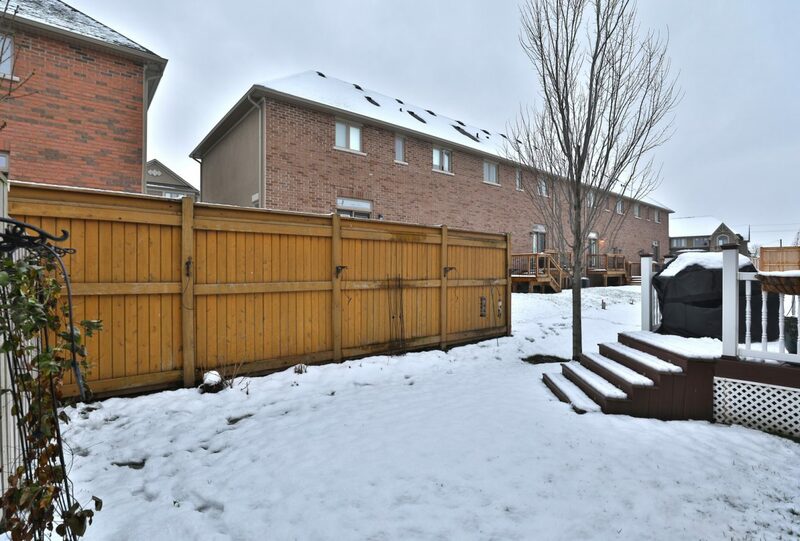 Spectacular brick end unit built by Monarch Homes on a quiet street within coveted Bronte Creek. 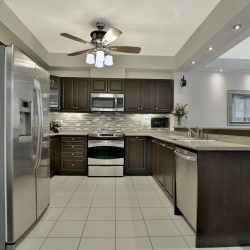 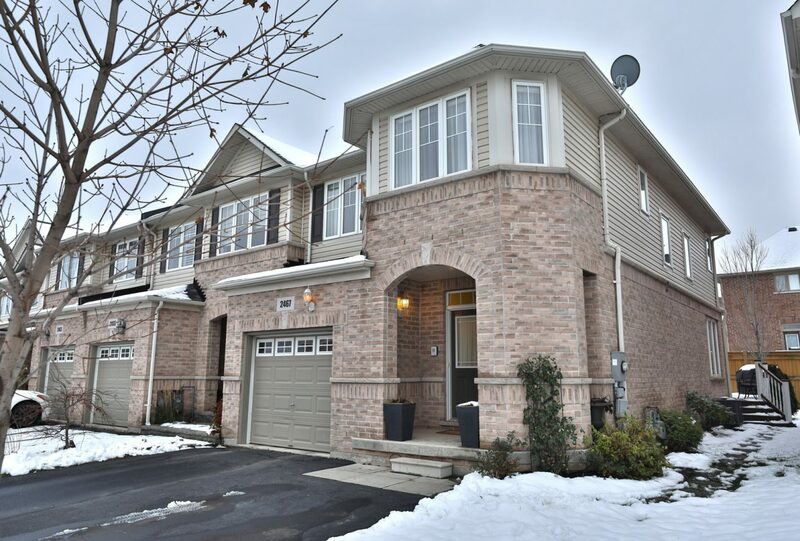 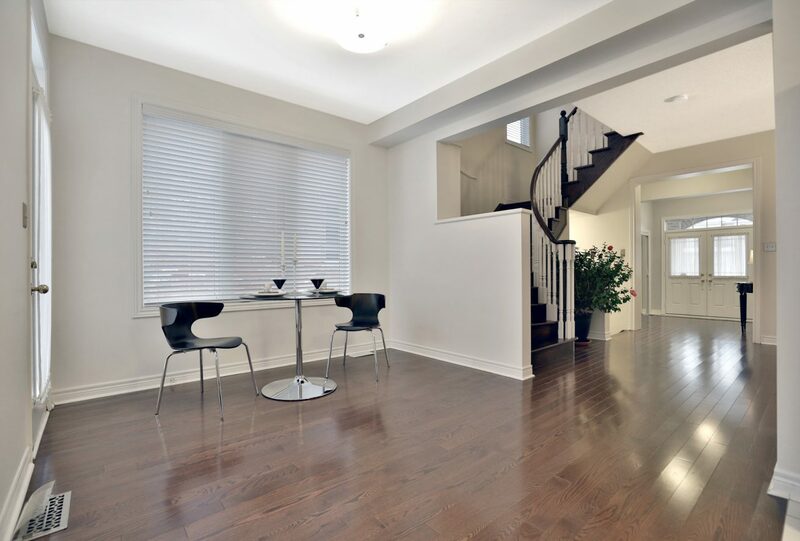 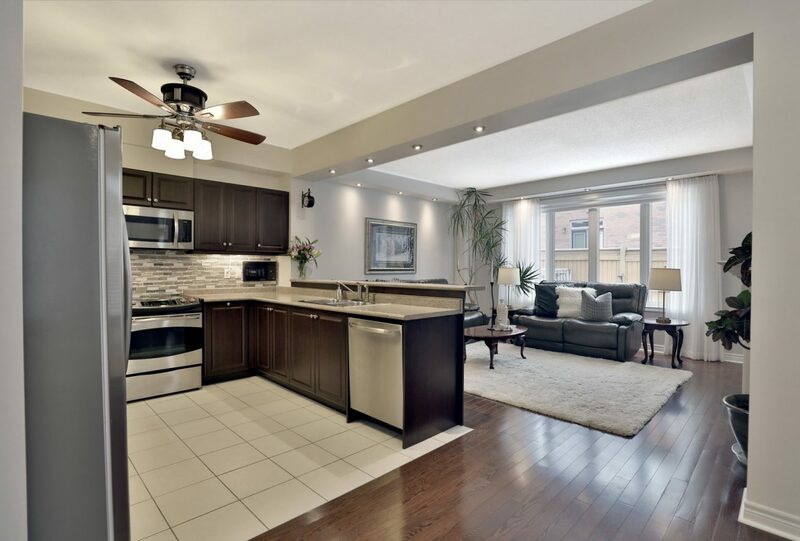 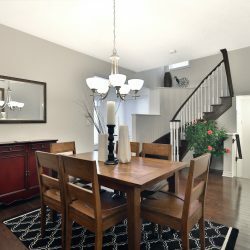 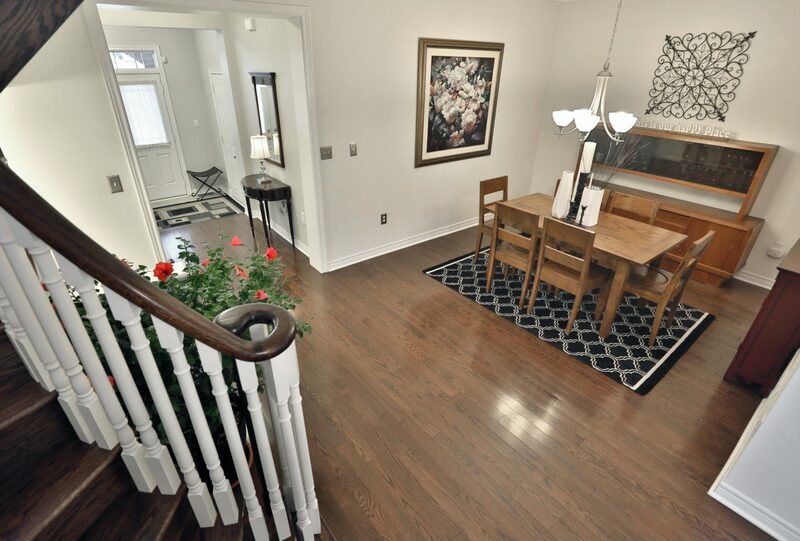 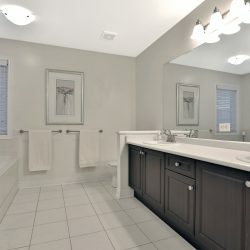 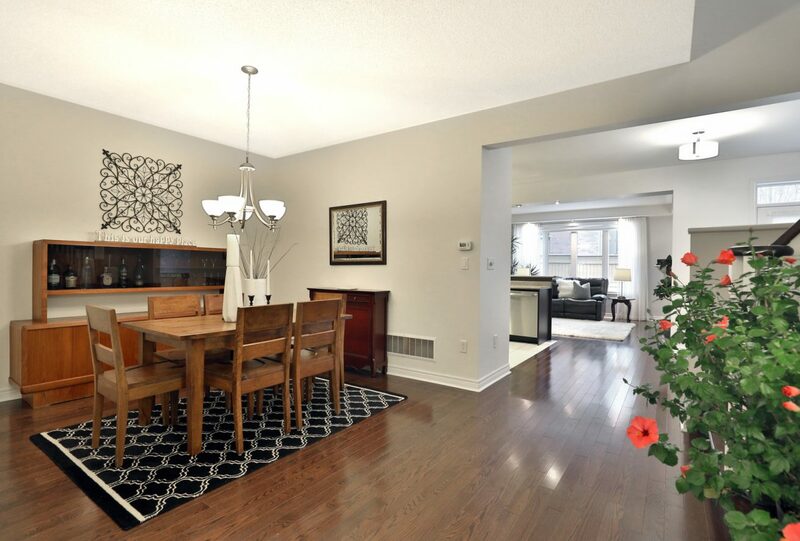 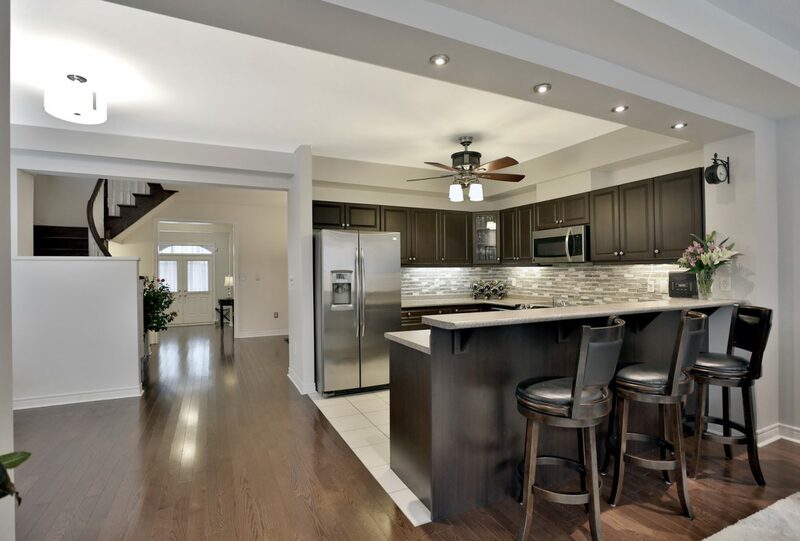 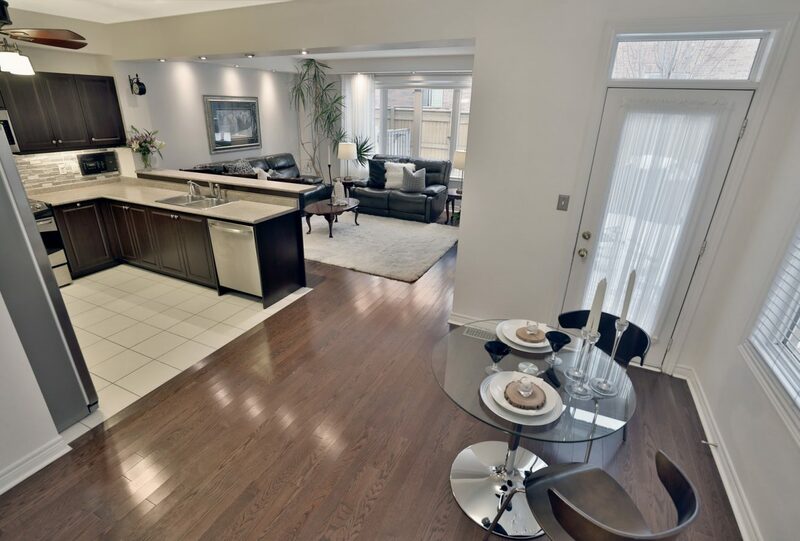 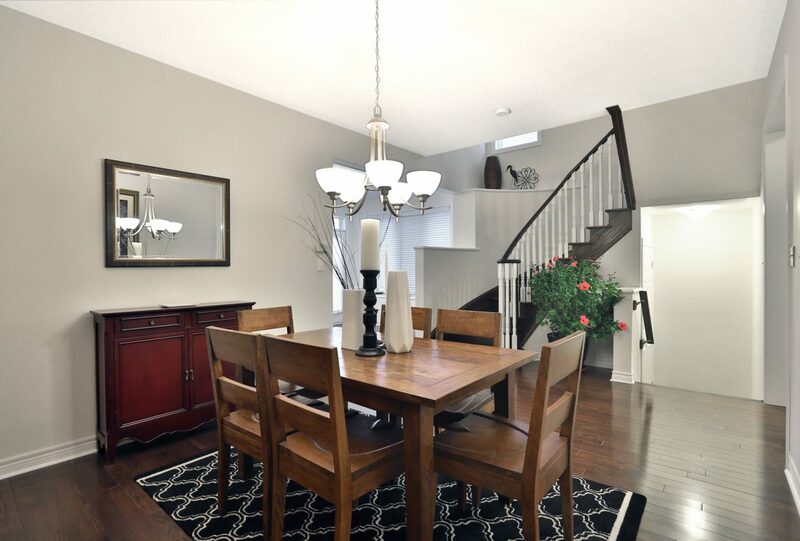 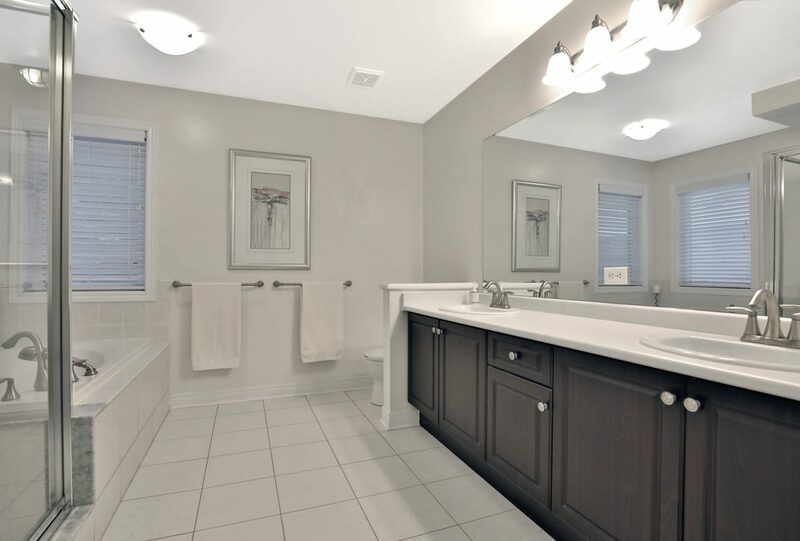 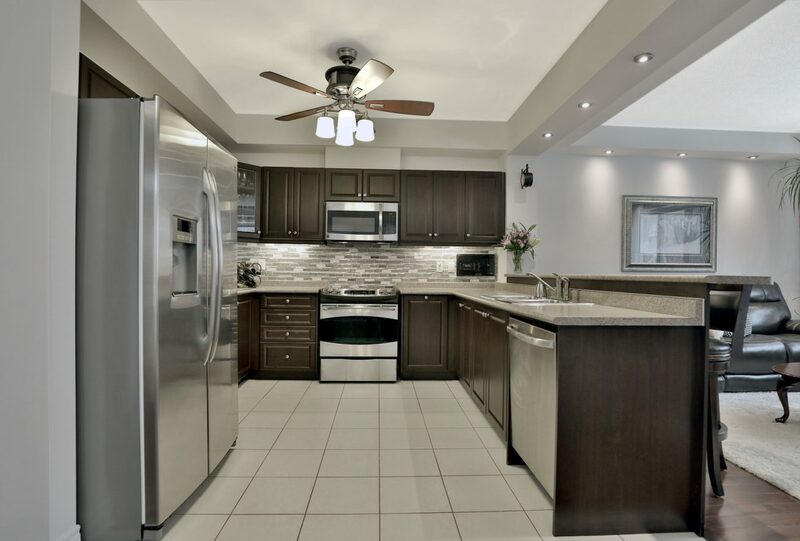 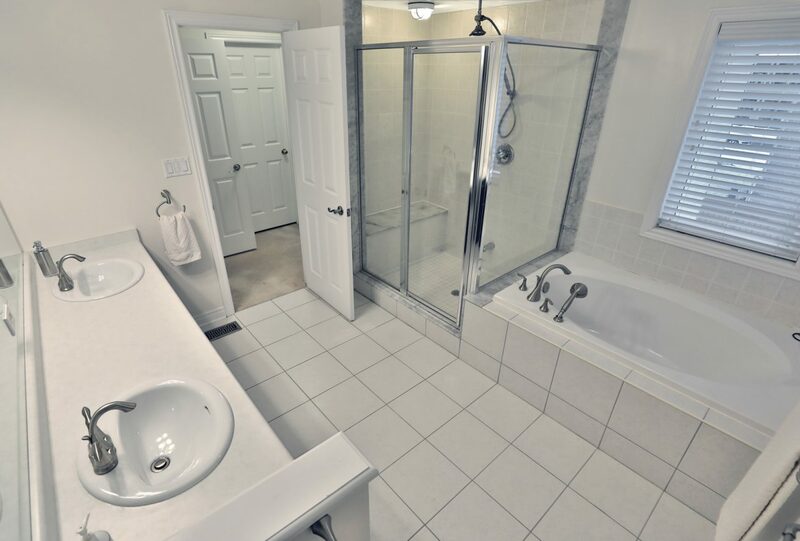 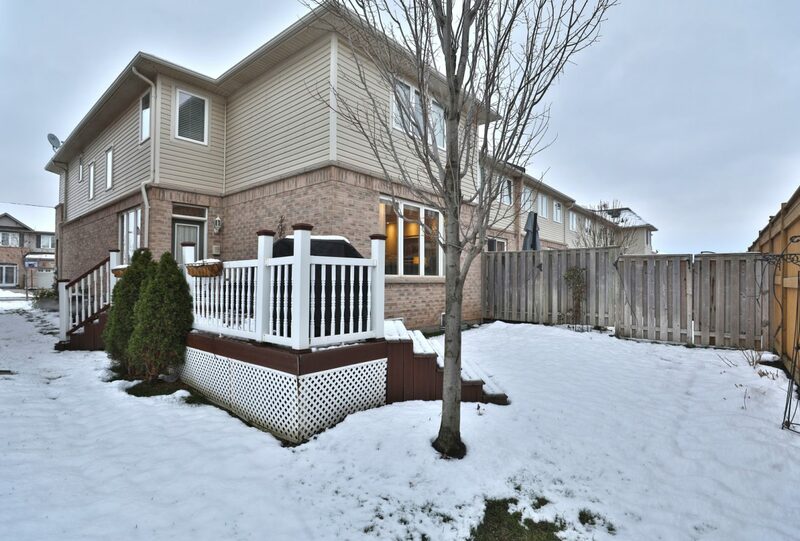 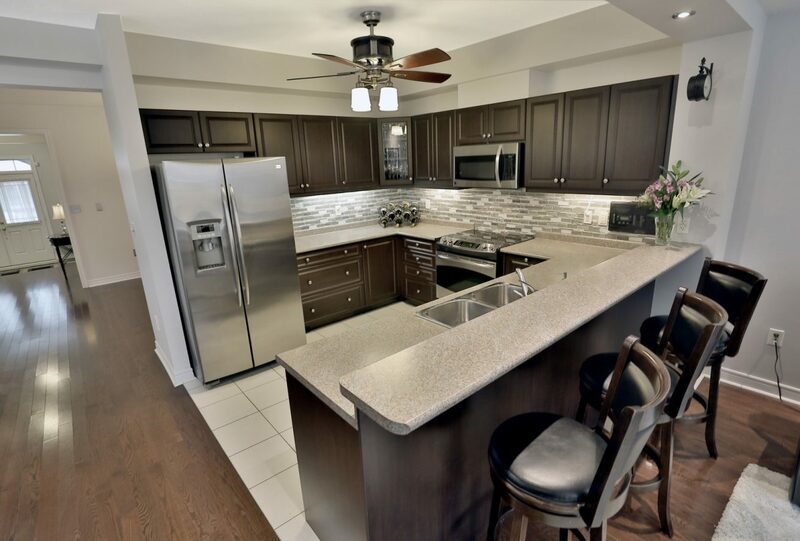 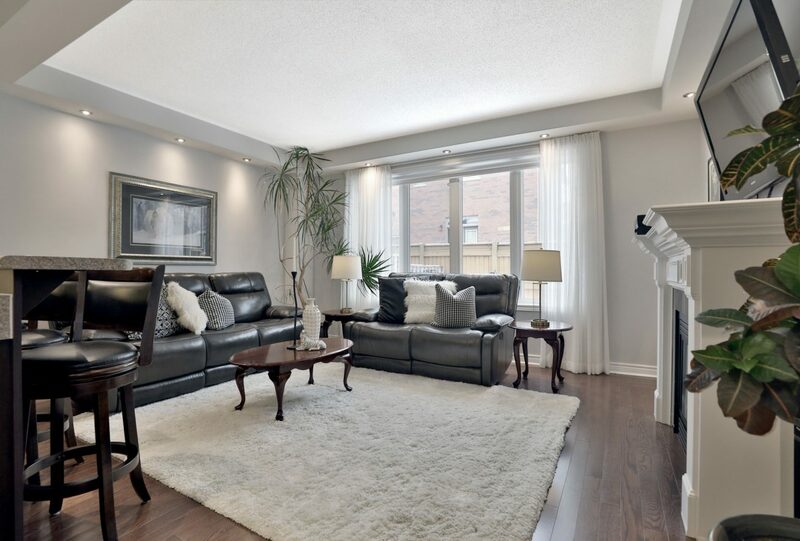 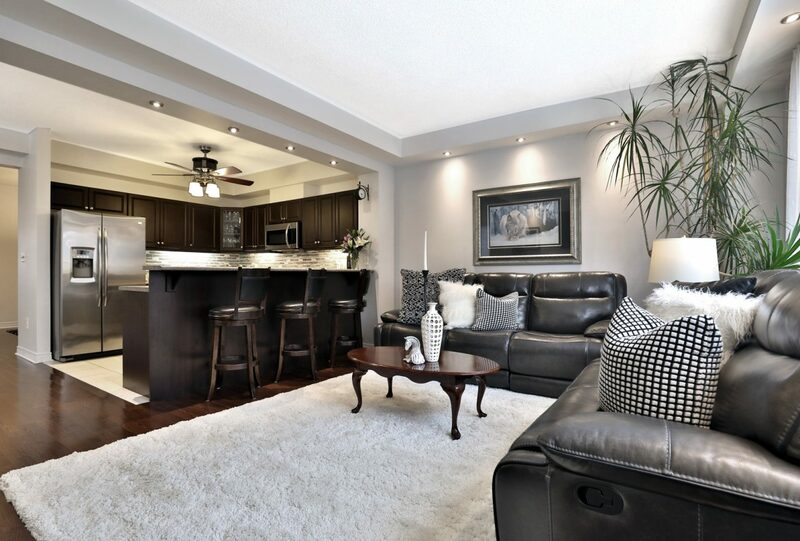 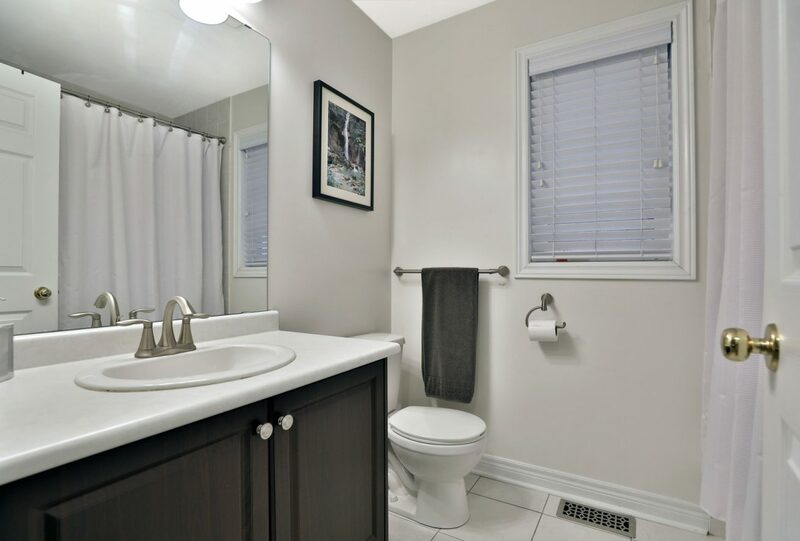 This open concept 3 bed, 4 bath beauty offers over 3100sqft of finished floor space! 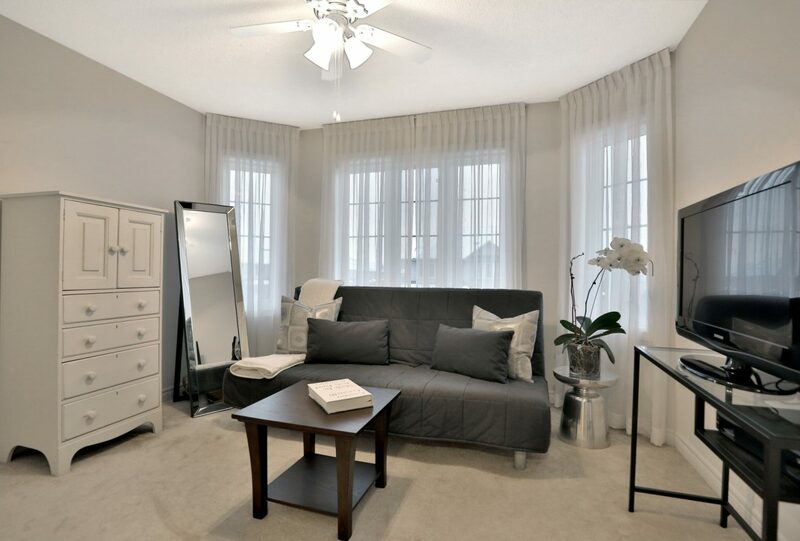 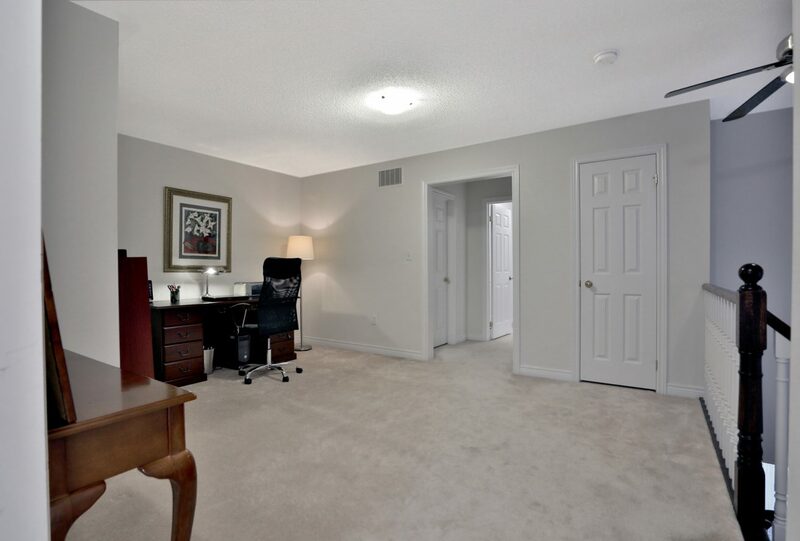 Step inside the spacious foyer with double mirrored closets, 9ft ceilings, garage access & 2pc powder room. 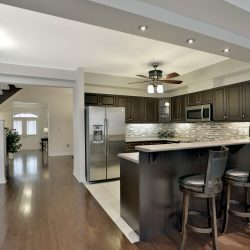 Richly stained hardwoods lead to your dining room & eat-in kitchen featuring dinette area, 9ft ceilings, white ceramic tiles, ceiling fan, stone/glass backsplash, espresso cabinets, breakfast bar, GE profile SS stove, fridge & dishwasher. 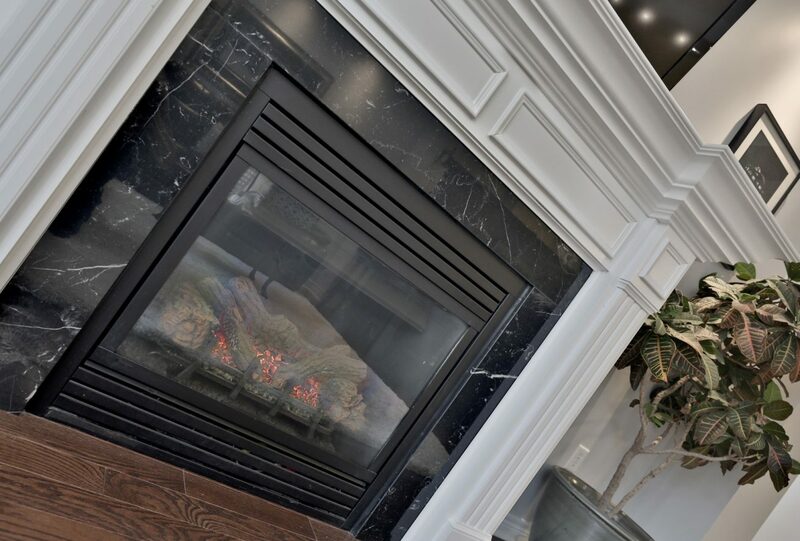 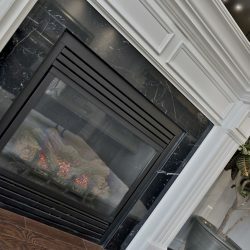 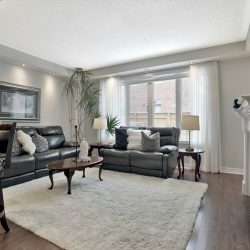 Relax in the sun-drenched family room with upgraded gas fireplace featuring gorgeous millwork mantle, mounted 55” TV (included), pot lighting & large windows with drapery. 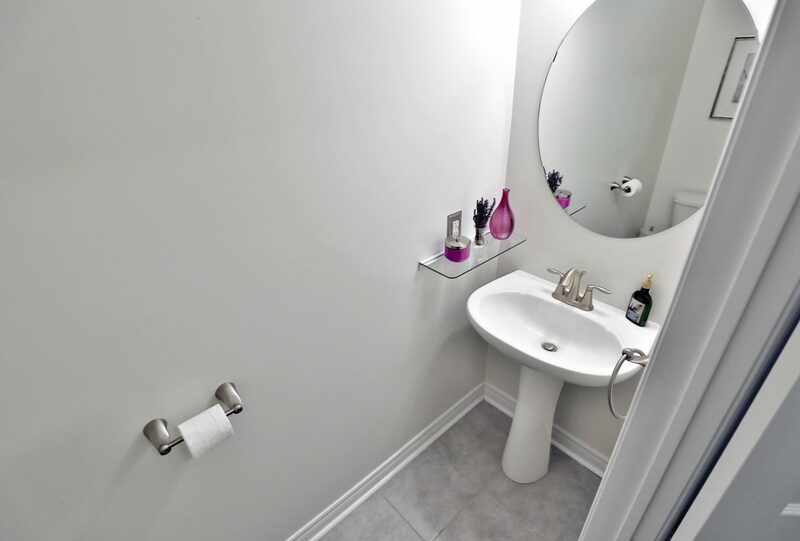 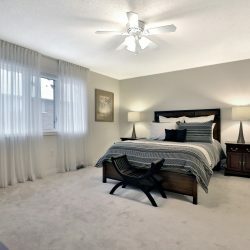 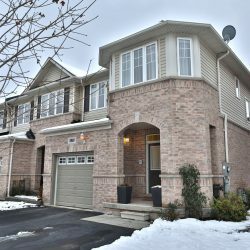 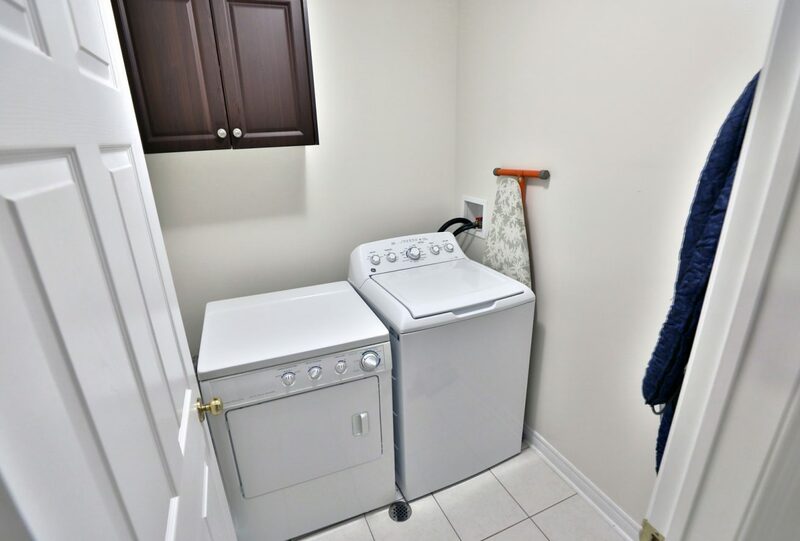 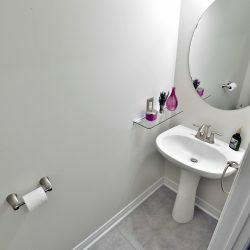 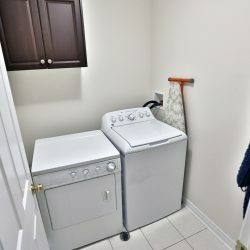 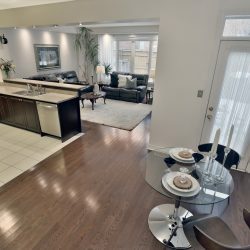 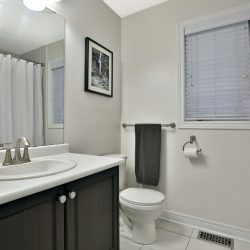 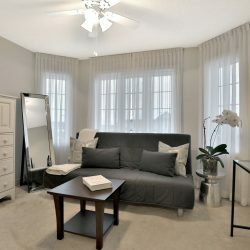 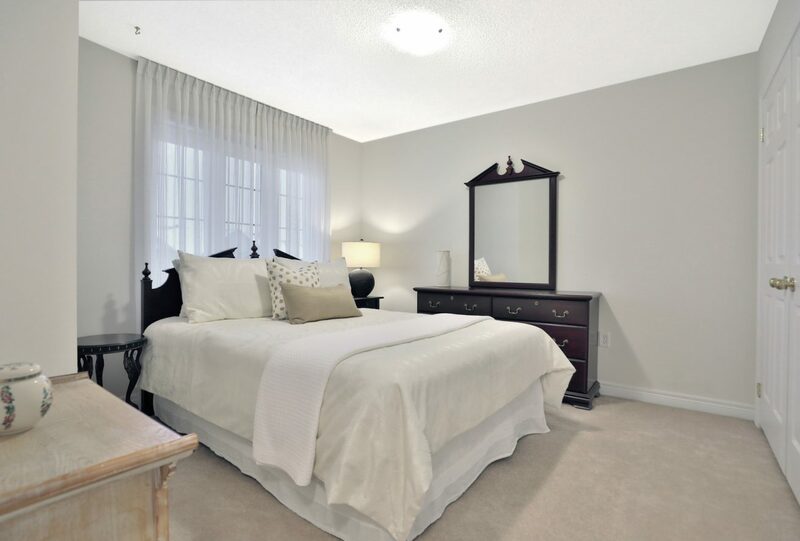 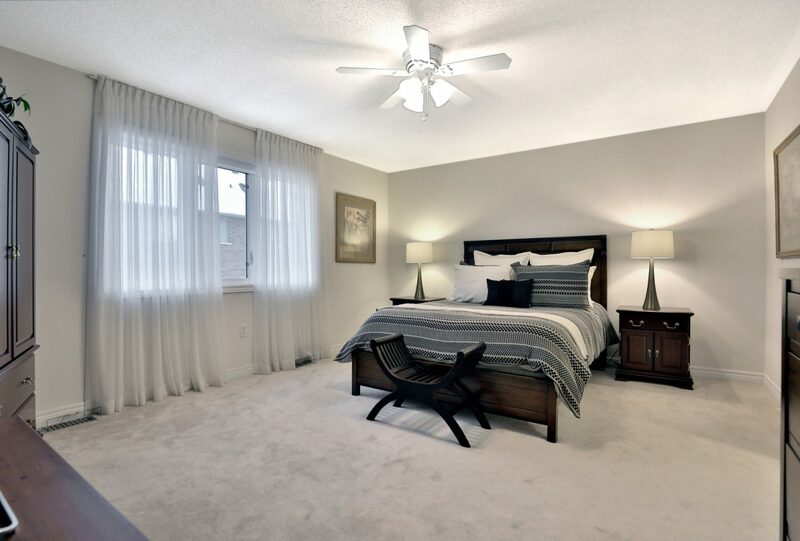 The upper level offers rare oversized bedrooms w/neutral broadloom, large master with 5pc ensuite & walk-in closet, oversized den & upper laundry room. 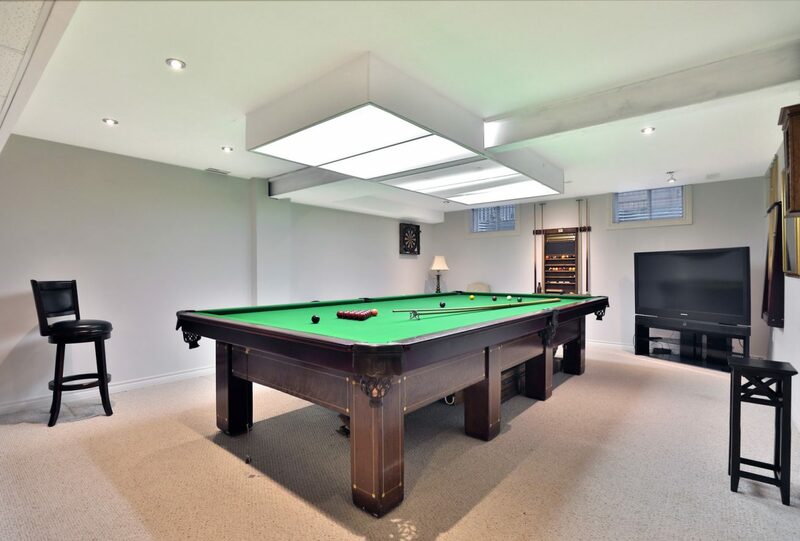 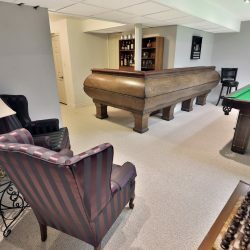 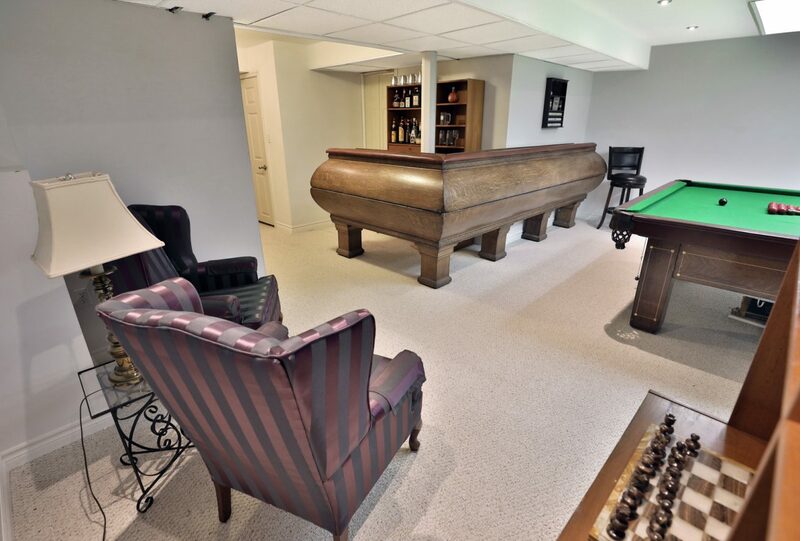 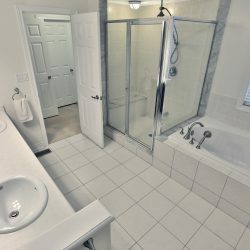 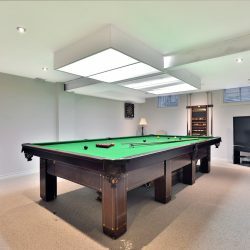 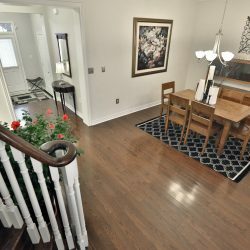 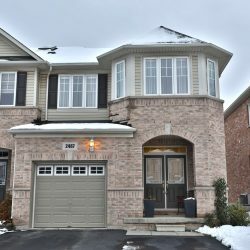 Completely finished lower level offers a large recreation room with pot lights, wood bar area, 2pc bath, pantry closet & a large storage/hobby room. 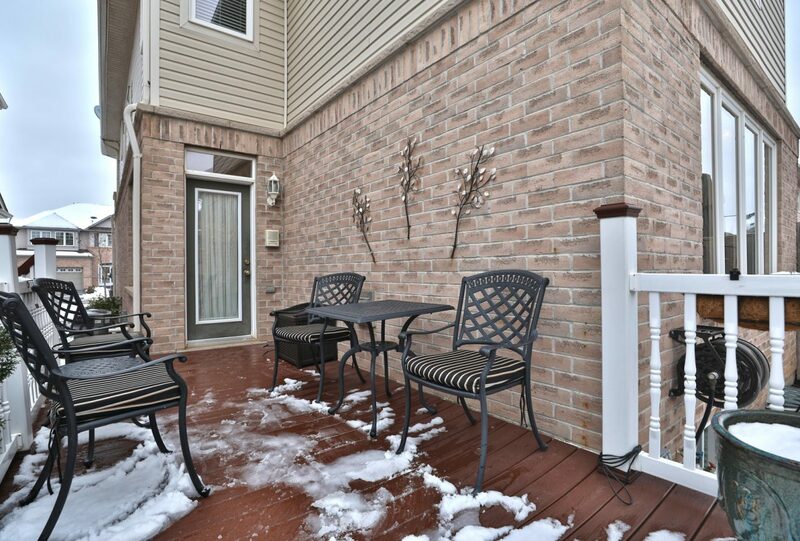 Backyard oasis features irrigation system & specious Trex deck that is sun proof & scratch proof! 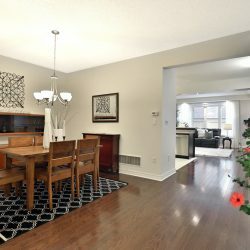 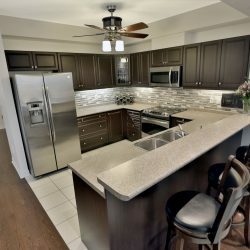 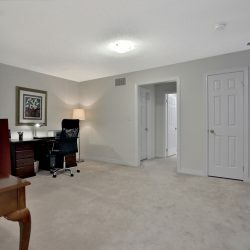 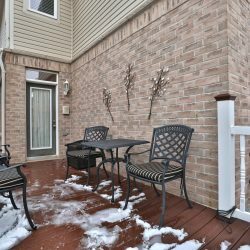 Don’t wait, this move in ready FREEHOLD townhome is the one! 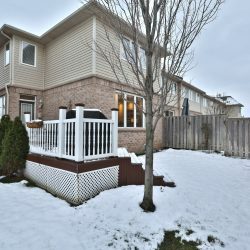 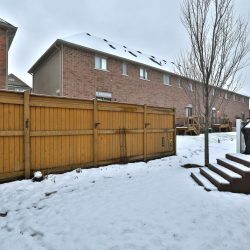 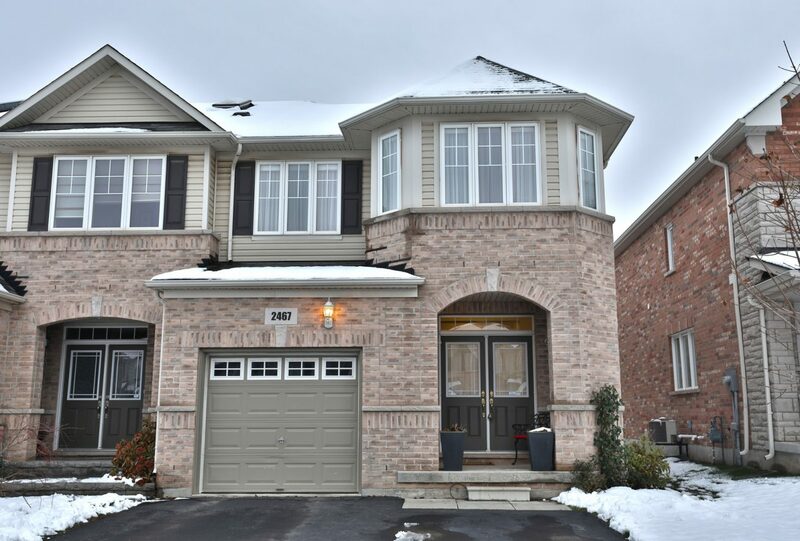 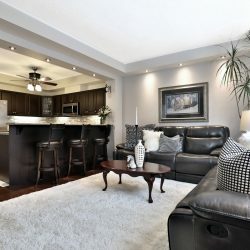 2467 Elder Lane, Oakville from Deborah Brown on Vimeo.